It doesn’t happen all too often that I get the opportunity to try wines made from Italian grapes outside Italy. 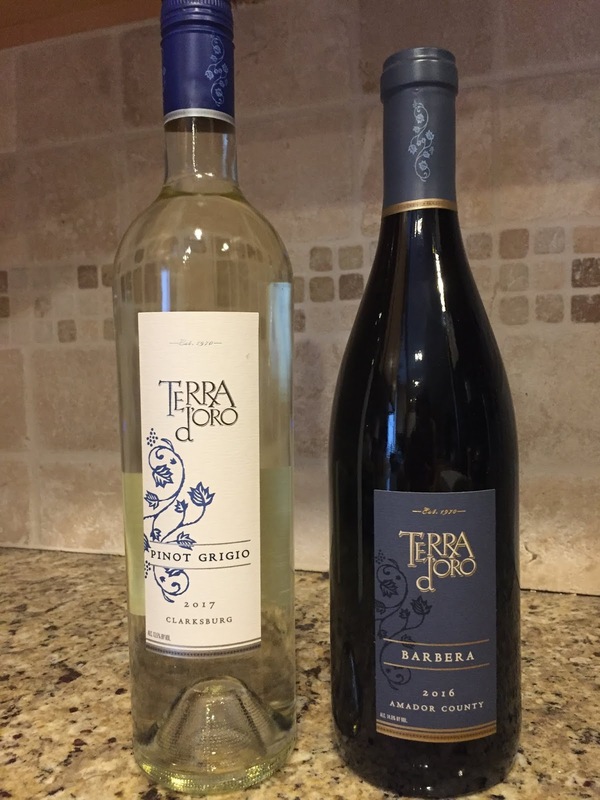 I had the opportunity to try some from Terra d’Oro located in the Sierra Foothills of Amador County in CA. 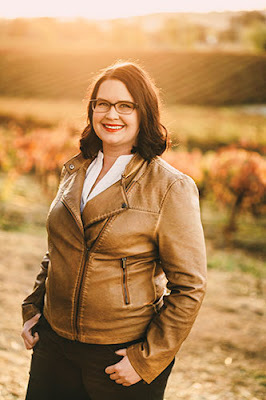 I connected with their winemaker, Emily Haines, and will be sharing some of the questions to give you further insight into their workings with some Italian grapes. The name Terra d’Oro means land of gold in Italian and was where the Gold Rush miners settled in the 1800’s. When the gold dried up they were also the first to plant vineyards. By the end of the century there were over 100 wineries, the largest wine region in the state back then. The miners had transitioned their money making from gold to wine production. The winery began back in 1973 under Cary Gott and father-in-law Walter Field, but at that point in time was named Montevina. According to the Terra d’Oro site it was the first winery of Amador county that was producing wines after Prohibition. The winery produces a variety of grapes, but being most interested in Italian grapes I was pleased to find that they produce barbera, pinot grigio, sangiovese, moscato, teroldego, freisa, nebbiolo and aglianico. I am sharing their 2016 Terra d’Oro Barbera and the 2017 Terra d’Oro pinot grigio. As a winemaker, what is it that attracted you to producing wines for Terra d’Oro? I am originally from Washington State and made a lot of Cab, Merlot, Syrah, Chardonnay, Pinot Gris and Riesling. I’d made some Barbera and Zinfandel over the years, but definitely never had made Aglianico, Teroldego, or Freisa. Coming to Terra d’Oro offered a new venture into winemaking that I had never been down before. I’ve spent much of my time here tasting the Italian representations of these wines along with representations across the country. I’m taking what I’m liking in those tastings and creating winemaking designs that tip the hat to the traditional, while also innovating and creating wines that are advancing with wine lovers new and old, alike. Why was Terra d’Oro named Montevina prior? Montevina was the name of the winery when we crushed our first wine back in 1970. As the winery grew, it was natural to create a higher quality luxury tier, which was named Terra d’Oro. As time went on, it became clear that it was time to focus our efforts into the Terra d’Oro brand. But fret not, we still create wine under the Montevina label. Montevina wines we varietally correct, yet more fruit forward. What vineyards are your other Italian grapes planted in? 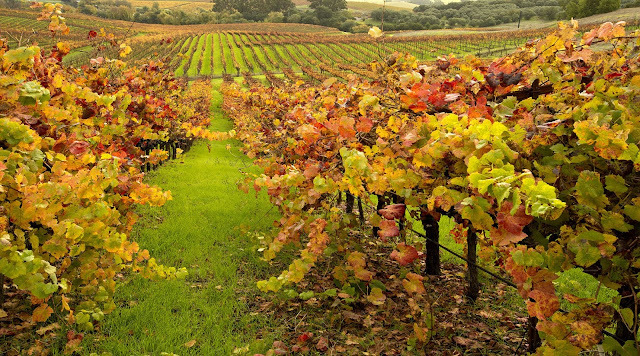 Our estate vineyards in Amador County add up to 800 total acres over 4 properties, 500 acres of which is planted. On our Amador properties, we have the following Italian varieties planted: Barbera, Sangiovese, Teroldego, Aglianico, Freisa, and Nebbiolo. I was reading that Barbera is the 6th most planted grape in the state of CA. Why is that and what is it about this grape in particular that attracted you to it to plant in Amador County? Barbera is widely planted here in Amador County. Terra d’Oro was one of the first to plant Barbera in our region. The shallow soils filled with Iron and decomposed granite made the perfect home for this Italian Variety. We get big robust cherry flavors along with the signature clean acid finish, making Barbera an excellent food pairing wine. In your description of the pinot grigio you mention that it finishes with a touch of elegant French oak. Is it aged and barrel and for how long? Why did you decide to take this approach in particular with a pinot grigio? Since the 2016 vintage we changed the winemaking style and vineyard sourcing to bring more liveliness and a crispness to our Pinot Grigio, but, as an homage to the previous style, we did a little extended yeast lees contact to add more viscosity and density to the traditionally linear wine. We feel Pinot Grigio doesn’t get the attention that it deserves. It’s a very expressive variety, especially here in California, where we get flavors and aromas of, pear, green apple, ripe melon, along with some refreshing minerality and floral characteristics. I saw that your pinot grigio is grown in Santa Barbera. Do you have a vineyard site there or do you purchase them from another winery? If so, what part do you take in the production of those grapes? Our Pinot Grigio from Clarksburg is all from our own company-owned vineyards. We have 4 different clones of Pinot Grigio from that site, which gives us many different flavors to work with, resulting in a lovely aromatic and flavor complexity ranging from ripe fruit to minerality to even a little bit of fresh hay. We hand pick these grapes so they pick up the least amount of color on the 2 hour trek from Clarksburg to Amador County. I saw that the winery also produces sangiovese and moscato. What is it about the land there that made you decide to produce so many wines based on Italian grapes? In the infancy of Amador County, people tried to plant Cabernet Sauvignon, Merlot, white varieties, but they never performed the way it was expected. After Barbera has been planted, it wasn’t long for Sangiovese to come in. We also produce Aglianico and Teroldego from our estate vineyards. Much of this is attributed to our very warm climate. Despite being in the foothills of the Sierra Nevadas, our summers are very long and hot. Varieties that do well in these climates were incredibly important in the planting of this region. In addition to Italian Varieties, Spanish varieties and Zinfandel do exceptionally well here.